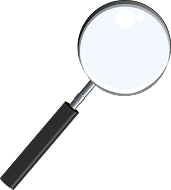 Carnegie: Magic Detective: Our Magic and More! 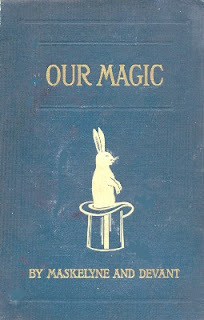 OUR MAGIC is a book by Nevil Maskelyne and David Devant originally published in 1911. 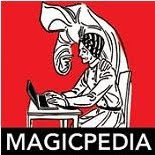 I first heard about the book through an article that Jonathan Pendragon wrote for Genii Magazine which he gave a list of his top 20 magic books related to illusions. Among the list was OUR MAGIC and unlike some of the other books he listed, it was easy to obtain a copy. Here was an eye opening book! Probably the first book to discuss magic theory and certainly the first book to really help define whether or not magic was art. My favorite chapter is called The Three Degrees of Art and it breaks down into: High Art, Normal Art and False Art. It's an intriguing chapter to say the least and it's followed by 300 other pages of incredible theory, ideas and secrets. It's certainly a must read for anyone involved in the performance of magic. Sadly, the few magicians I know who own a copy have felt the book is best preserved in the shrink wrap they purchased it in. In other words, they haven't read it. I'm sure there is plenty of room for debate on 100 year old theories discussed within the book. It's still worth a read and a great deal is still quite applicable today. I don't know if I'm asleep at the wheel, or if Facebook is just not allowing me to see posts by friends as often as it used to, but I've now missed two opportunities to contribute to film projects. One was by a fellow magician who has moved into movie making. I found out about his project just after the funding had been raised. The next is a documentary film project by Dan & Dave Buck, Jason England and Paul Wilson. I had seen the mini-documentaries that they had posted on the internet and was enthralled with what I had seen. I only wished I had been among the folks giving their thoughts on magic because I certainly am filled with my opinions on why I think magic is art and why it often falls short. Their new project was up on Kickstarter.com to raise funds and ended on May 27th. I think I had heard about this back in April but was not aware of the timeline and the fundraising ended over a week ago. But the good news is they raised the nessassary funds and are now moving forward with this new documentary which will be aptly called OUR MAGIC. Please watch the video below to get an idea of how these film makers are putting their hearts into this project. If it's anything like their other videos, this will be something we can all be proud of! Best wishes to all involved! Contact Me If Youd Like To Have An Ad Featured Here! © DAC Productions 2009-2012. Simple theme. Theme images by enjoynz. Powered by Blogger.